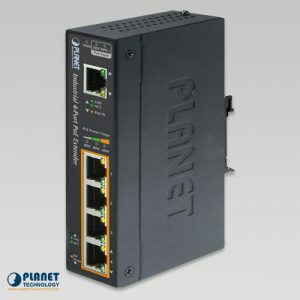 PLANET’s Ultra PoE Managed Injector Hub series is designed to upgrade an existing network infrastructure to Ultra Power over Ethernet network system without replacing the existing Ethernet Switch. The UPOE-2400G is a high-density, rack-mountable managed Ultra PoE injector hub featuring PLANET’s intelligent PoE functions through web user interface for remote management. It provides 24 10/100/1000BASE-T Ethernet ports featuring an Ultra PoE injector with a total PoE budget of 800 watts. 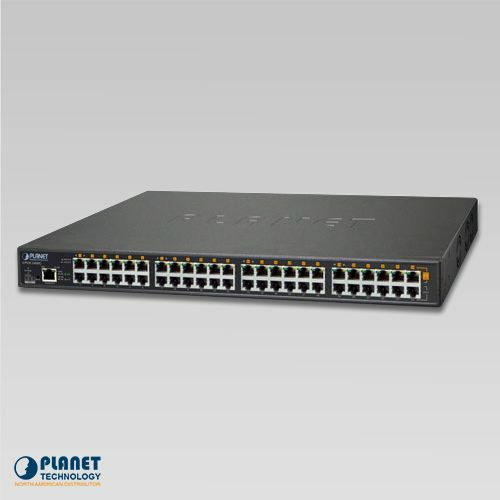 Each PoE port can deliver up to 60-watts of power over Cat.5/5e/6 Ethernet UTP cables which allow data and power to transmit simultaneously to a remote 60W 802.3at/af powered device (PD). 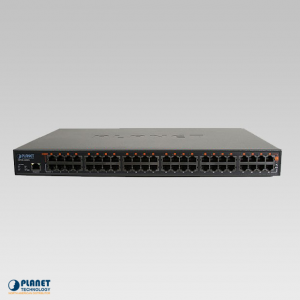 The UPOE-2400G enables centralization of the power supply and optimizes the installation and power management of remote network devices. 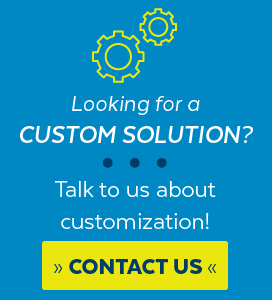 The unit provides a quick, safe and cost-effective PoE network solution for small businesses and enterprises. 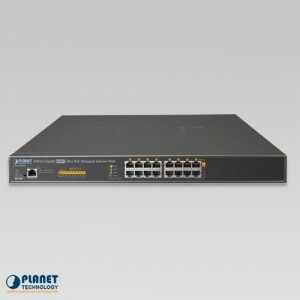 The UPOE-2400G is installed between a regular Ethernet Switch and the PDs. 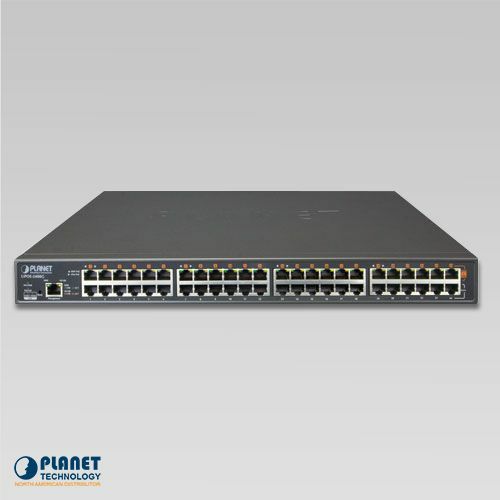 There are 48 RJ45 STP ports on the front panel of the UPOE-2400G, the 24 lower ports are “Data input” while the upper 24 ports are “PoE (Data and Power) output”. Both power and data are transferred simultaneously over the UTP cables to PDs without affecting the existing network performance and functions. With data and PoE in one unit, the UPOE-2400G can reduce power cable deployment and eliminate the need for dedicated electrical outlets in unreachable places. 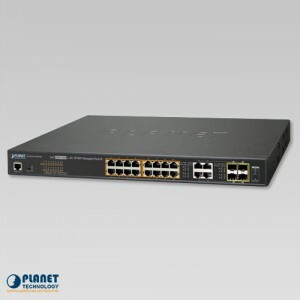 To efficiently manage the powered devices, the UPOE-2400G provides a simple Web management interface in which administrators can control the system and PoE functions for powered devices. 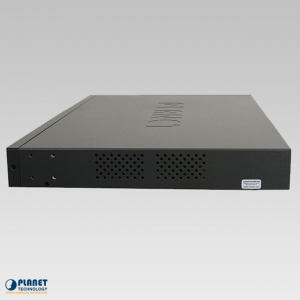 It can automatically detect the power status of each port and show messages on its Web management interface. 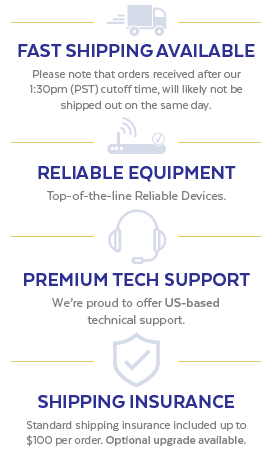 These features also provide users with a cost-effective way to manage the device via Internet on site or remotely. 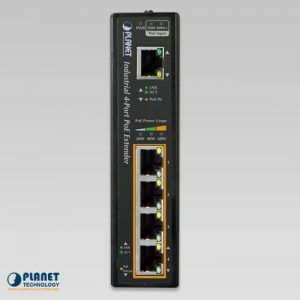 PLANET’s Managed PoE products adopt not only Power over Ethernet technology, but also automated PD monitoring and real-time PoE status. 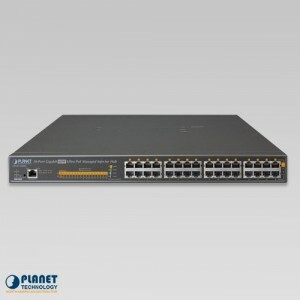 The UPOE-2400G can be configured to monitor connected PD’s status in real time via ping action through the uplinked Ethernet switch. Once the PD stops working and responding, the UPOE-2400G will recycle the PoE port power and turn back on the PD. 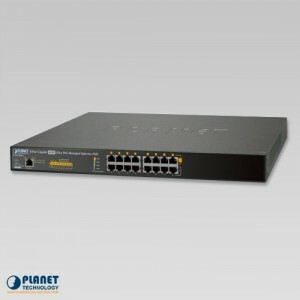 It also will greatly enhance the network reliability by resetting the PD power through the PoE port, thus reducing the administrator’s management. 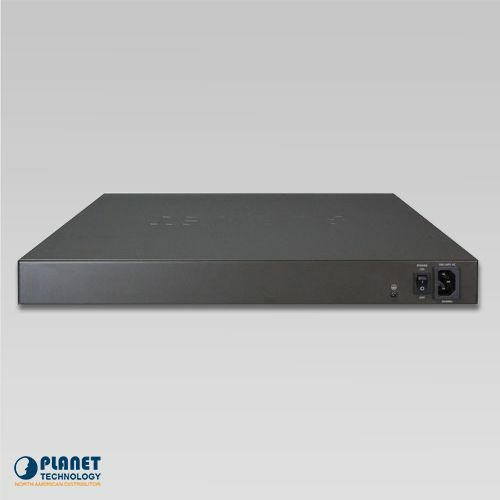 The UPOE-2400G is environmentally friendly and can effectively control the power supply while still having the capability of giving high watts of power. The built-in “PoE schedule” function helps you to enable or disable PoE power feeding for each PoE port during specified time intervals and it is a powerful function to help SMBs or enterprises save power and money. It also increases security by powering off PDs during non-business hours. To facilitate power management, the UPOE-2400G comes with powerful PoE management features such as over temperature protection, usage threshold alert and auto power allocation to prevent power budget overloading. 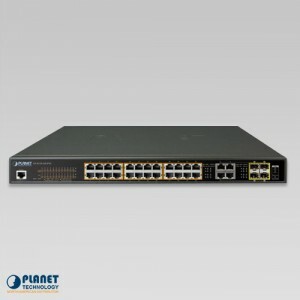 The PoE power budget can be allocated by priorities or classification and sent alert event logs when power usage reaches the defined threshold. Via the power usage chart in the web management interface, the UPOE-2400G enables the administrator to monitor the status of the power usage of the connected PDs in real time. 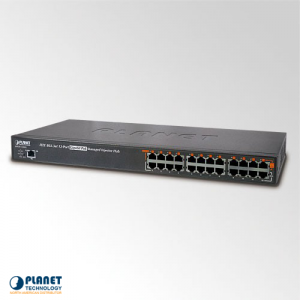 With IEEE 802.3af/802.3at PoE output capability, the UPOE-2400G can extend much longer distance by using PLANET’s PoE Extender for powering up the PoE PD which can be installed over more than 100 meters away. 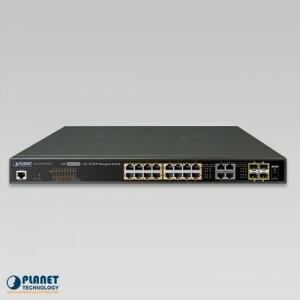 By daisy-chaining multiple PLANET PoE Extenders, it offers the great flexibility of doubling, tripling or quadrupling the distance of PoE networks. 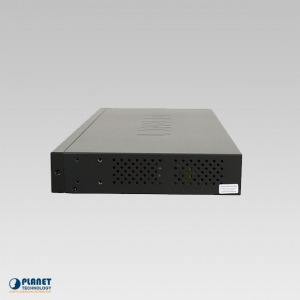 The UPOE-2400G features a low noise design and an effective ventilation system. It supports smart fan technology that automatically controls the speed of the built-in fan to reduce noise and maintain the temperature of the unit. 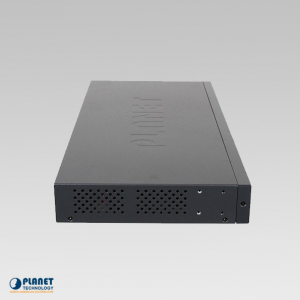 The UPOE-2400G is able to operate reliably, stably and quietly in any environment without affecting its performance.